From this page you are able to freely download all the official patches for The Witcher 3 Wild Hunt. These downloads are intended for people who have already bought the game and want to patch it themselves instead of depending on the various platform auto up-daters (Steam, Gog etc.) with cookies. If you enjoy the game and have not bought it yet, please do so now. – Fixes issue whereby items needed for Achievement titled I Wore Ofieri Before It was Cool could not be acquired from Ofieri merchant. – Fixes issue whereby glyphs added within Hearts of Stone expansion would disappear from slots subsequent to game being saved and loaded. – Alters difficulty balance of arachnomorphs in quest titled Open Sesame! forming part of Hearts of Stone expansion. – Fixes issue whereby cellar could be looted without fighting archgriffin in quest titled A Surprise Inheritance forming part of Hearts of Stone expansion. – Fixes issue whereby Roach could appear to change into a black mare with Hearts of Stone expansion installed. ● Fixes issue whereby ambient music from surroundings of Kaer Muire could override other music. ● Fixes lack of music if autosave made before fight against pirates was loaded during quest titled Destination: Skellige. The next patch will be arriving quite soon. 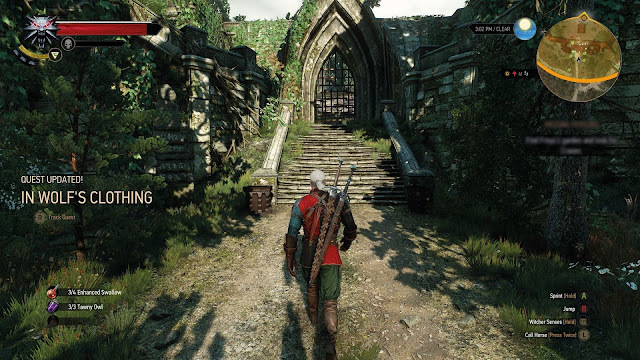 Please check the list of changes for Witcher 3 1.08 below. These downloads are intended for people who have already bought the game and want to patch it themselves with the Downloadable content, instead of depending on the various platform auto up-daters (Steam, Gog etc.) . If you enjoy the game and have not bought it yet, please do so now.